Now you can have your very own Panda Pizza Party wherever you go, but it’s on your head, so even better, right? Pizza Panda Beanies are made from 100% soft-touch acrylic in a double layer knit. This adult beanie come sin a one size fits all and is super stretchy. The beanie is a cool mint colour with a super cute embroidered panda on the front. 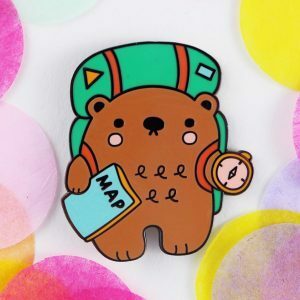 Super Secret Bestie Deal – Free enamel pin with your beanie!